This product contains totally 500 pieces of military patches. Among them, 60 pieces of 3rd Army, 7th Army Seven Steps To Hell, Air Force Communication Service and 9th Corps are available. These four 60 pcs patches come in colors. There are also twelve 10 pieces patches available in this product. It contains Strategic Air Command, Ruptured Duck, Pacific Air Force, Tactical Air Command, 4th Wing, 69th Infantry, 4th Transport Command, 16th Army Air Corp, 7th Corps, Usaf in Europe, Individual Ready Reserve and 1st Army patches. 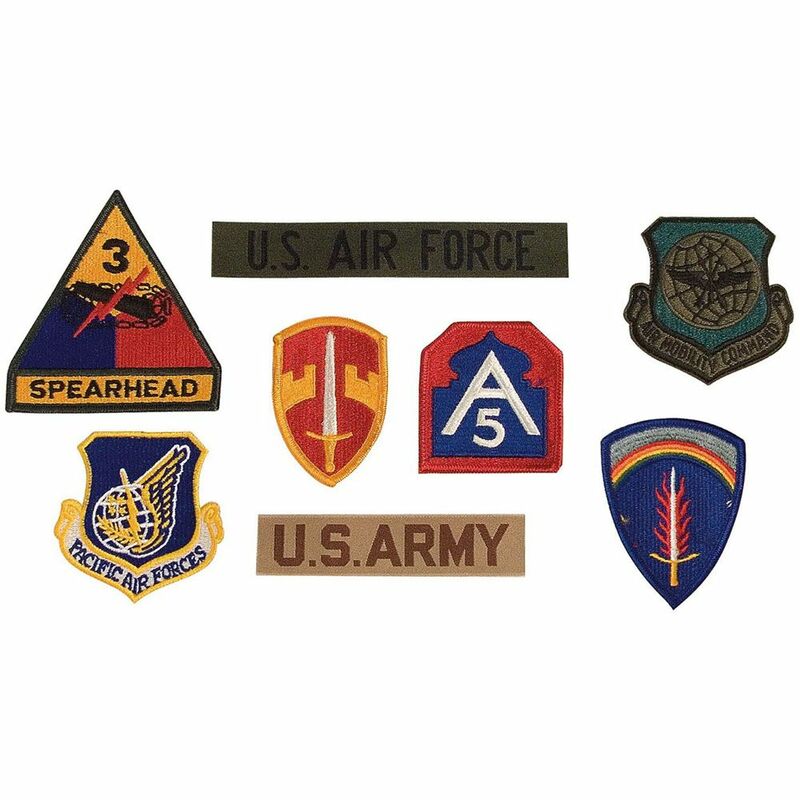 These military patches come in superior quality and are offered at very reasonable prices.